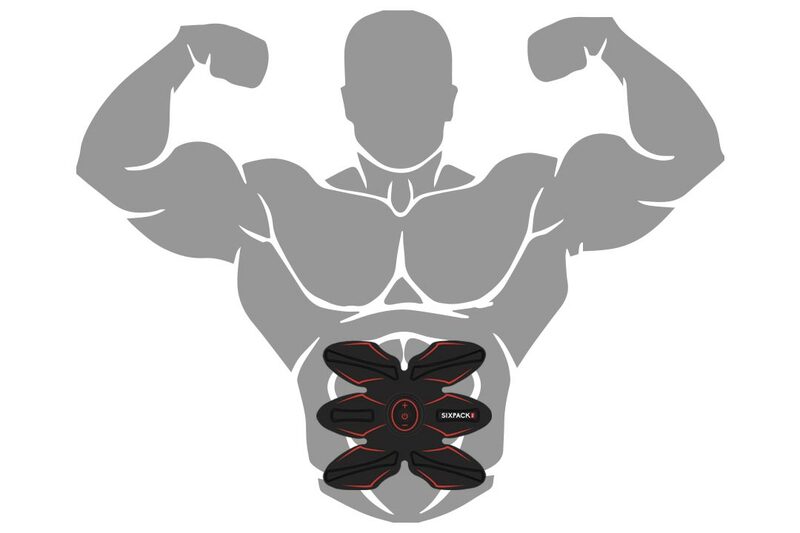 Our Six Pack Pro is specifically designed for your abdominals, with 6 EMS Pads targeting your core muscle groups. Cordless, Light Design with Carrying Case Designed to Fit in Your Every Day Life. We've taken wearable training gear to the next level. 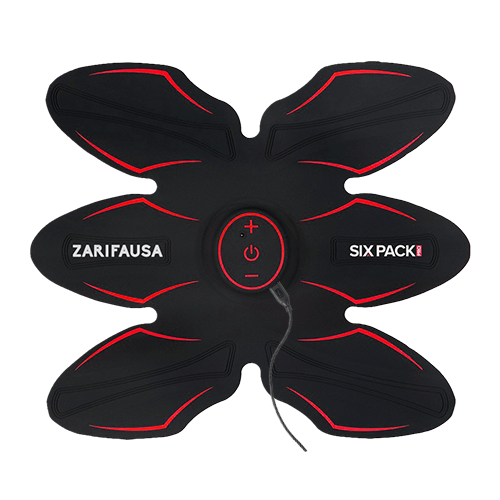 At only 3mm thin the Six Pack Pro is designed to contour to the edges of your stomach. 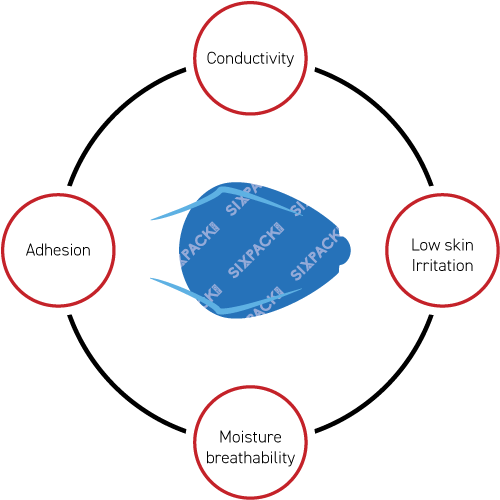 Place the Gel Pads on the Back of the massager. 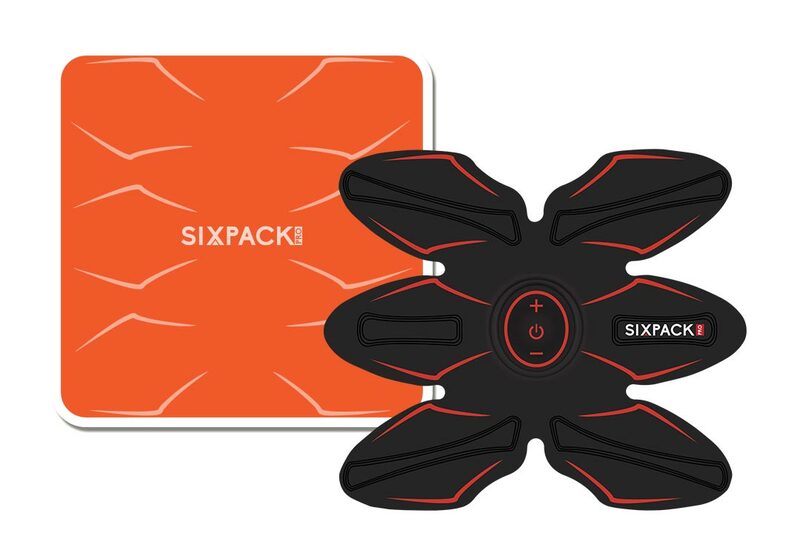 Attach the Six Pack Pro to Your Abdomen. When Training Is Complete Place the Unit back on the Storage Sheet. Can it be used everyday? Can I use it in the bathroom? The product is not waterproof. Refrain from using it in the bathroom as doing so may result in an accident, injury, damage or the product getting dirty. 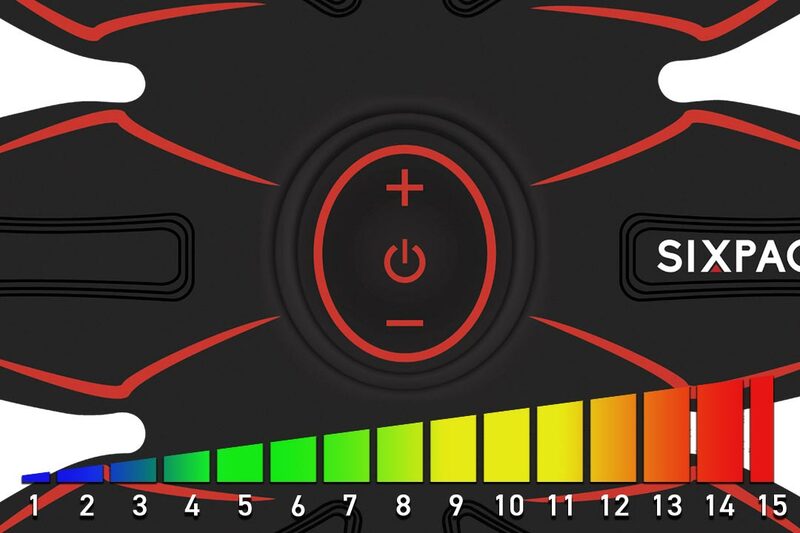 What level should I use it at? Is it OK to put some lotion or body cream on before use? Are there any places or conditions when I shouldn’t use it? 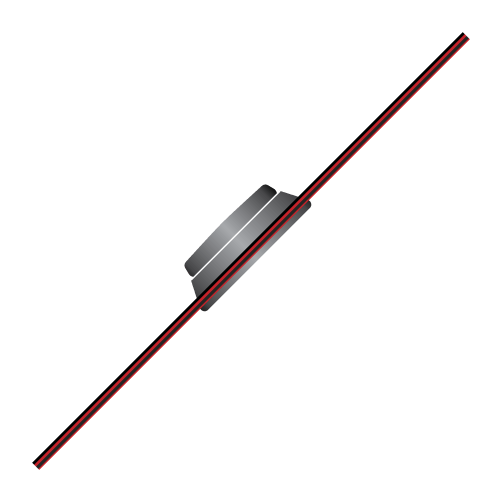 Do not use on parts above the neck (head, face, etc.) or on areas around the heart, such as the spine, chest or shoulder blades. Furthermore, do not use if you have any heart conditions. Is it OK to use the product during pregnancy or immediately after childbirth? No, do not use this product at such times. Women postpartum or who are nursing should consult with their doctor. Is it OK to use the product while sleeping?